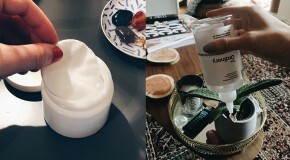 Having an extensive makeup collection, rudimentary MUA training, and a job that requires me to know all of the latest beauty trends and techniques means that my friends frequently call upon me to pack up my kit and put my blending skills into practice, dolling them up for everything from parties and nights out to weddings and impromptu Instagram photoshoots. 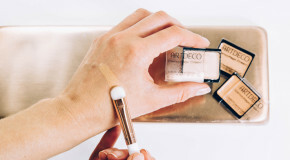 I’ve long since had my on-the-go makeup kit sorted, but when it came to brushes I was guilty of tossing them into my makeup bag and letting product explode all over them – there’s nothing worse than a filthy makeup bag caked in the ashen remains of age-old foundation smudged on by splayed brushes. What’s more, I found myself wasting countless moments rummaging for the correct brush to use once application was underway – not wanting to have to lay them out on any old surface. Likewise, whilst brush belts are great, as any makeup artist will know, they’re not without their flaws –namely they’re limited for space, easy to lose brushes in, and hard to pull brushes from. Essentially, being on the go has meant that my brush collection has suffered, when in reality they really shouldn’t have to. 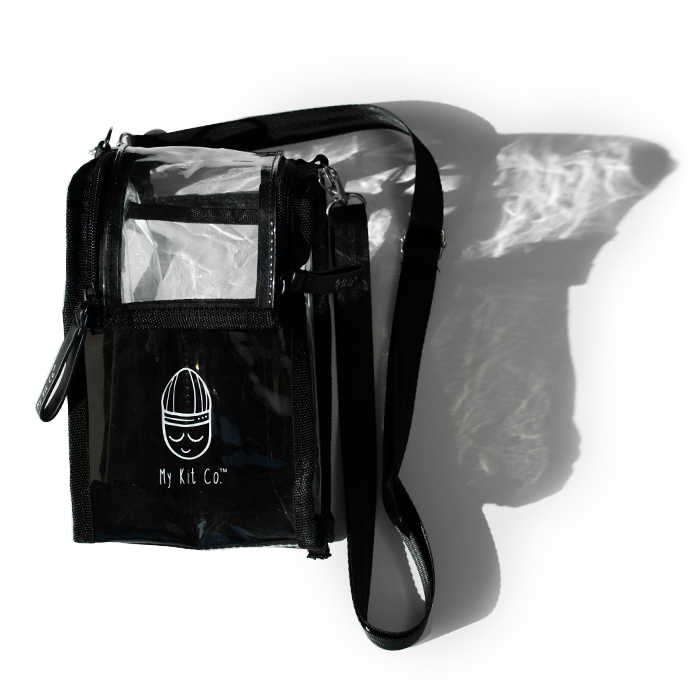 Unfortunately, the market for on-the-go makeup brush storage has been surprisingly limited, with so few innovative solutions on offer that even the pro makeup artists I’ve worked with have toted their brushes in similarly insufficient fashion. It’s no surprise therefore that the gamechanging solution was the brainchild of an industry insider – pro-makeup artist James Molloy. With an illustrious career in the industry, including a long stint as Director of Makeup Artistry for MAC and years of backstage work at fashion weeks and behind the scenes on photoshoots, James was well placed to launch My Kit Co. – a brand dedicated to designing functional storage solutions, beauty tools, and brushes. 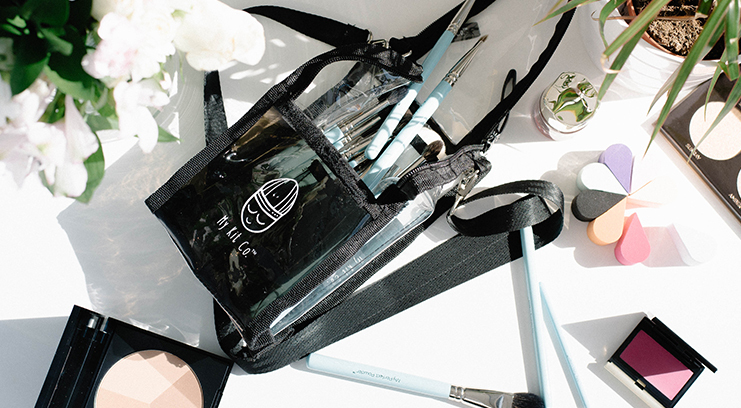 Born from James’ long-running passion for makeup artistry and presenting functional and professional solutions to the common grievances of makeup artists and enthusiasts, the jewel in My Kit Co.’s crown is My Brush Buddy. A pragmatic and utilitarian approach to brush storage dreamed up by James one night at his kitchen table, having identified a need for something that would keep brushes upright, organised, and accessible. It does just that. Made of sturdy PVC and split into four sections (so I can’t get my eyeshadow brushes lost among my powder brushes) it allows brushes to stand straight, and has room for everything I need – allowing for far more options than my brush belt could carry. On top of keeping my makeup brushes organised and ordered, using My Brush Buddy keeps my brushes cleaner, and the PVC itself is easy to wipe. What’s more it can both be stood on work surfaces and slung over shoulders, giving brushes their own dedicated travel and storage case. Durable and surprisingly capacious it allows for stylist and practical organisation of brushes.